Chicago does not have as many individual rooftop fire water tanks as New York and their number is declining. Advances in modern plumbing systems and fire suppression technology are contributing to this decline. As a result, many new buildings now rely on fire pumps to maintain water pressure instead of individual building roof top tank reservoirs. However the circular cypress fire water tanks that do remain are considered to be a historic feature of Chicago. 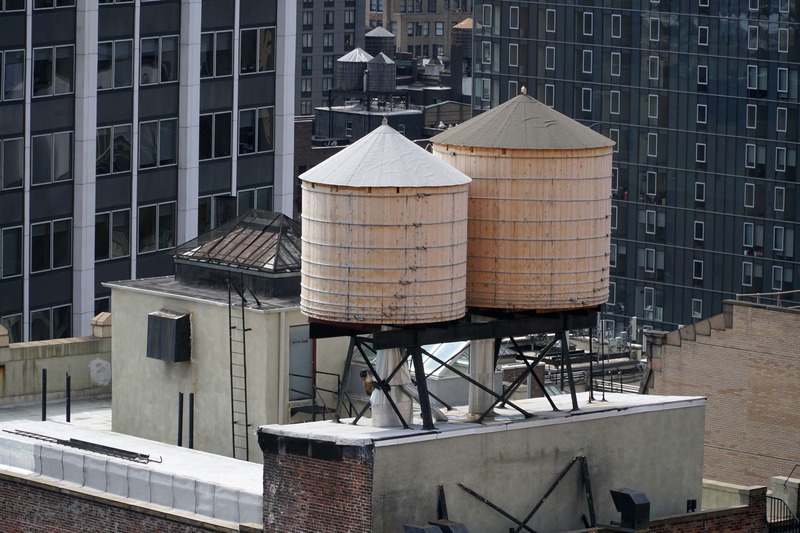 A century ago, roof top fire water tanks adorned what were then considered industrial or light industrial buildings. While both water towers and roof top water tanks are a historic elements of this city many have been inadequately inspected and exposed to the elements during cold winters and are in need of maintenance or repair, if not decommissioning and removal itself. Historically engineers were available to conduct tank inspections but many of these buildings were converted to offices and dedicated engineers no longer carry out inspections. As a result, today, property managers often divide their time among multiple facilities, leaving little time for regular tank inspections. The lack of established inspection schedules is the primary reason some tanks have failed. Regulatory backdrop to roof top fire water tanks in Chicago. 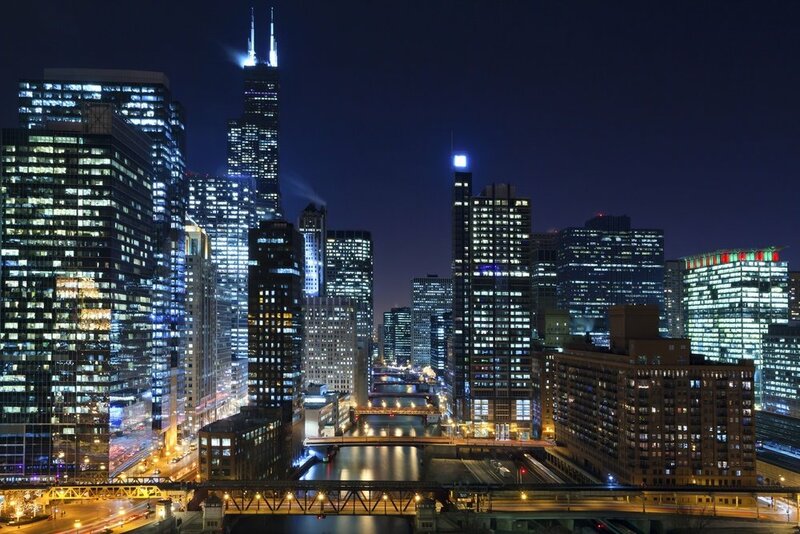 The protection, inspection, and in some cases, decommissioning and removal of roof top fire water tanks and their supporting structures are regulated by the Chicago Department of Buildings. Detail of this is provided here, but in all instances prior to the design, specification, maintenance or removal of fire water roof tanks, the most current edition of all relevant code should be consulted. 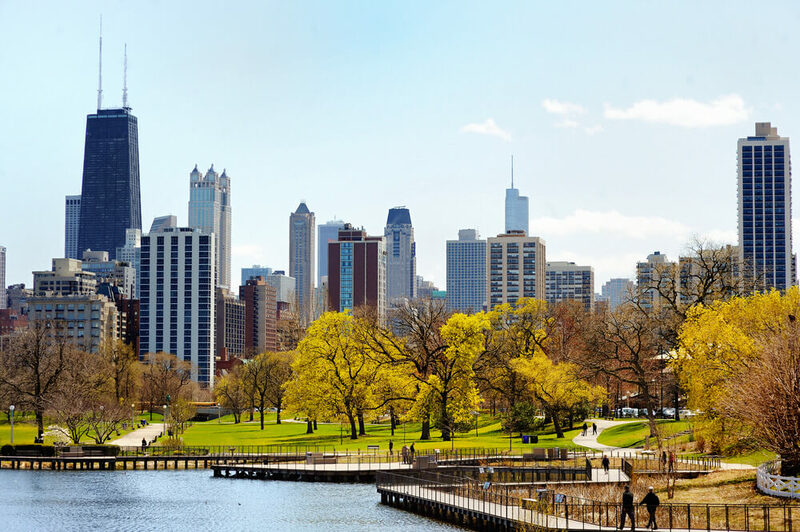 Following the fall of a fire water tank from a landmark building in Chicago in 2013, injurying three, to protect both public safety and to ensure that owners properly maintain fire water tanks, Chicago code reforms were passed in 2014. A water tank owner is required to hire a licensed professional (architect or structural engineer) to conduct a critical structural examination of water tank and its support structure and file a report of the critical structural exam with the Chicago Department of Buildings bi-annually. If this examination reveals structural or safety deficiencies with a water tank or its support structure an owner should take immediate action to secure and repair the water tank or support structure or immediately remove either them as necessary. To protect the structural integrity of the water tank or support structure, owners are prohibited from attaching any miscellaneous items on the water tank or support structure, such as: signs, communication or lighting equipment. Design and construction. Water fire tanks shall also be designed and constructed in accordance with the structural requirements of the Chicago Code and supported on masonry, reinforced concrete, steel or other approved non-combustible construction. 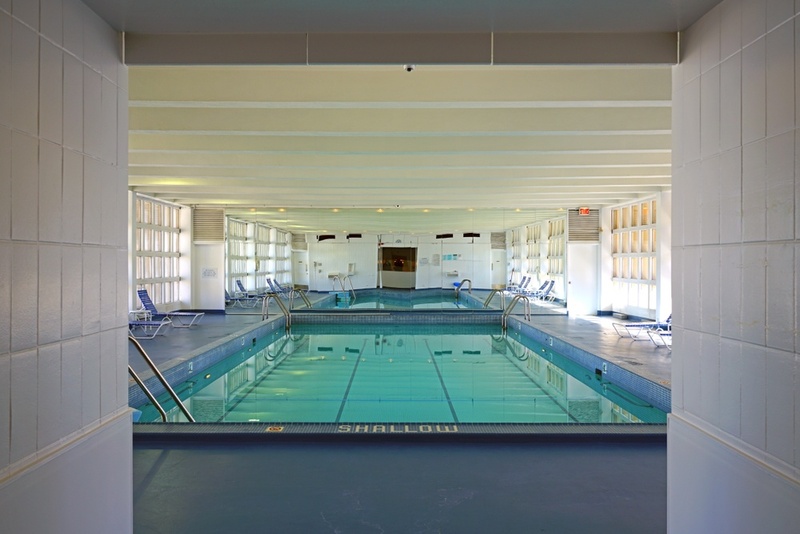 Where located internally, tank supporting construction should be construction Type I-A. Maintenance. Those in charge, possession or control of a building supporting a tank or tank supporting structure, or any free-standing tank, should maintain them in a safe, good condition. If a tank is exposed, a rust-proof plate or tag needs to be attached to it or to its supporting structure showing the installation month and year in letters or figures at least 2” high. Rust protection. Paint, galvanizing, wrapping or similar coating application is not considered a form of protection to exempt an otherwise exposed tank or exposed tank supporting structure from the Code. Signs on tanks and tank supporting structures. No sign should be painted on or any sign attached to any exposed tank or tank supporting structure located upon or above any building or structure, or free-standing tank, including any painted sign, adhesive or vinyl sign. Chicago officials have also increased enforcement of roof top water tank inspections as maintenance and repairs can prolong the life of existing fire water tanks. Internal inspections internally every few years and other more frequent visual inspections, such as examining support frames for corrosion. There are however instances when a roof top water tank will have to be decommissioned and removed. In this case, and if the building is landmarked, a special permit is needed to remove a fire water tank by an approved fire water tank demolition team. 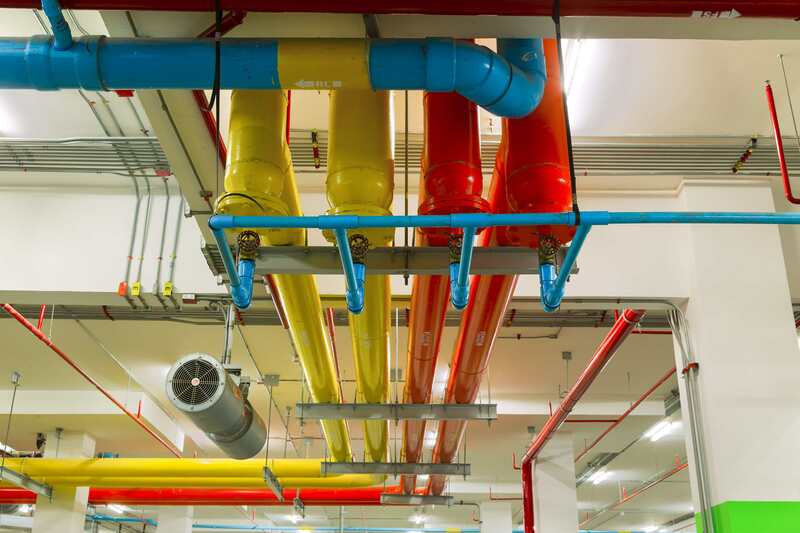 Property managers can rely on these specialists to handle their water tank decommissioning project and ensure their fire suppression systems remain in operation without service interruption. While a tank is removed, these specialists will work with property managers to retrofit an incoming water service, electrical service for a fire pump and to allow a pump to continue provide fire suppression to their property. Alternatives to water tanks are simple fire pumps mounted on top of the water pipes to increase the water pressure. These are now internal within buildings.This approach is straightforward, but comes with potential public health risks. 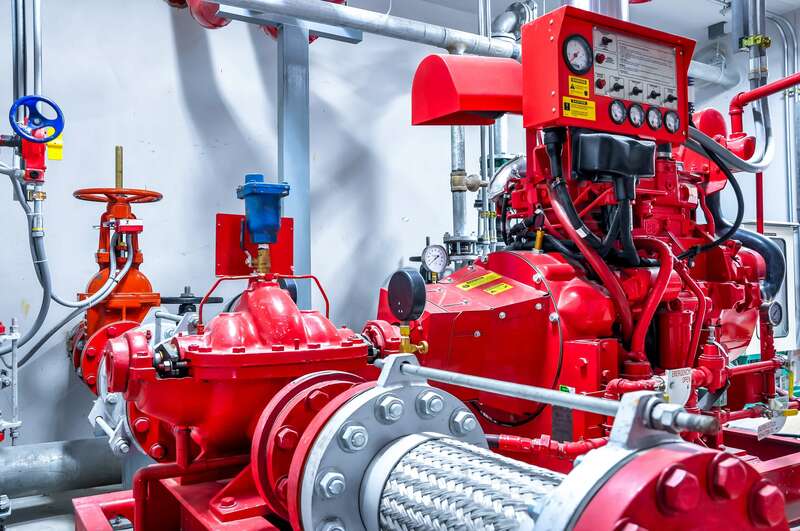 If fire pumps fail, reduced water pressure may result in contaminants entering the water system. The majority of large water utilities do not use this approach, for this reason. Its important to obtain advice for the design, specification, installation, maintenance, or safe decommissioning or removal of roof top fire water tanks from fire protection experts, who also perform any necessary inspections to meet necessary legal and insurance requirements or provide advice for any alternative fire pump solution.